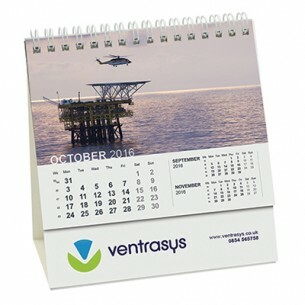 Make your branding stand out by printing your logo onto this personalised Smart Calendar - Compact Easel. The easel calendar stands up on its own and provides a clear view of the month along with a large area for your decoration. It will be a useful promotional giveaway for any situation, from trade shows to marketing events. This item is printed with high-quality digital or litho printing to make your branding stand out and get noticed.